Me SP & the Bean. : mochi brownies. A few days ago while Bean took her beauty nap, I tried out this recipe. Well actually, it was my second time trying it. I made them the first time in muffin tins with liners, because I have "a thing" about greasing pans. (ie. I hate getting butter on my hands, especially in my nails... don't ask). Anyways, it didn't bake properly. I found this recipe online and was intrigued because it uses mochiko instead of flour. The "ko" in mochi-ko means powder. So there you have it, mochiko - sticky rice flour (or powder). Mochi is very dense, chewy and sticky. 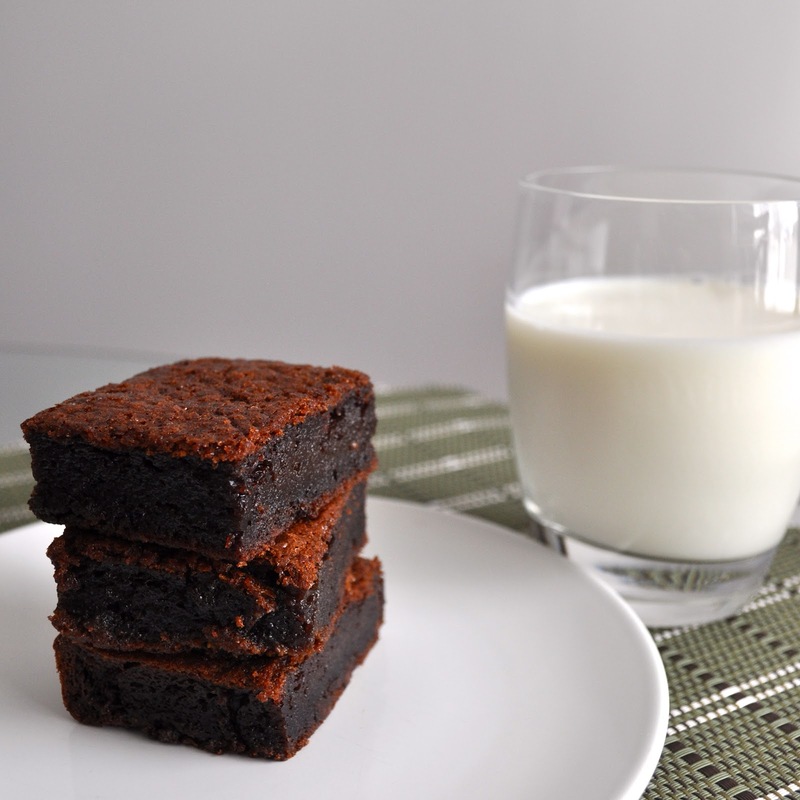 And true to its form, these brownies came out very dense and chewy as well. I wasn't sure how I felt about them initially, but they've grown on me now and I'll definitely make them again. I thought that I made a mistake. This is not one of those brownies that taste good slightly under baked. If they're undercooked, the consistency is way too gooey, and not in a good way. They actually taste better the next day, once they've completely cooled and had time to firm up a bit. In fact, I really like them cold from the fridge. I added some chocolate chips to the batter, knowing that they'll probably all sink to the bottom, given how loose the batter was. And they did. And they pretty much melted. It was still good though. Woke up just as I was finishing up.